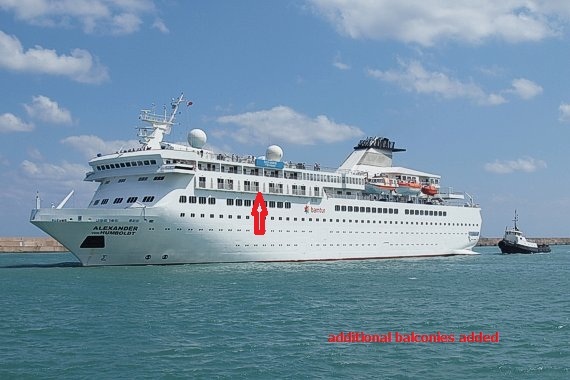 All Leisure Holidays'' cruise ship Voyager was arrested in Singapore late last Friday, following action taken over unpaid bunker bills.Bunker supplier Gulf Petrochem Group (Gulf Petrochem) is understood to have been the first to take action against ALG, and has filed a $162,800 claim against the ship.Shipoil Ltd (Shipoil), another bunker supplier, has also filed a caveat against the ship, while Sembcorp Marine Ltd (Sembcorp Marine), the yard at which the vessel has been receiving repairs, has also filed a claim. 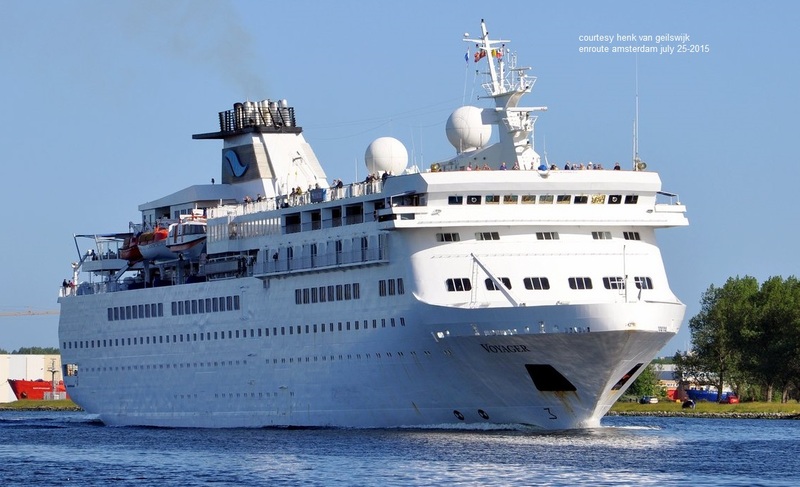 May 28-2013 Voyages of Discovery 1990 built cruise ship ' mv Voyager ' has been stuck at the County Donagel port of Killybags since the 28th May 2013 with two of her four generators not working. 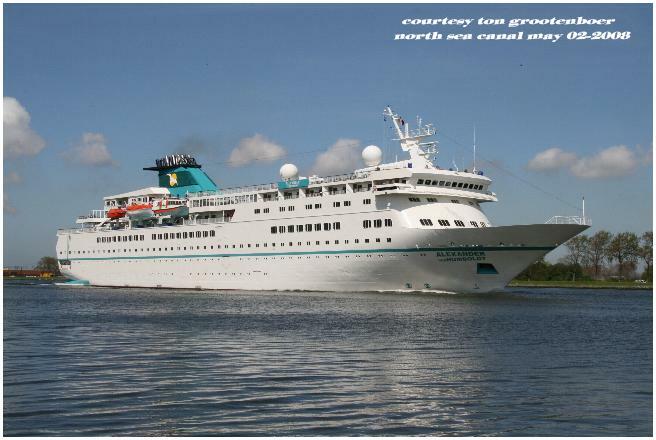 Oct. - 2012 The ship will be entering a month long refit in Portland, UK from November.Key new additions to Voyager will include the introduction of an explorer theme to whole ship, the new Scott’s Lounge and speciality restaurant, the Explorer Club.Voyager, the former Alexander von Humboldt, was purchased by Voyages of Discovery in 2009 but has been chartered out until now. 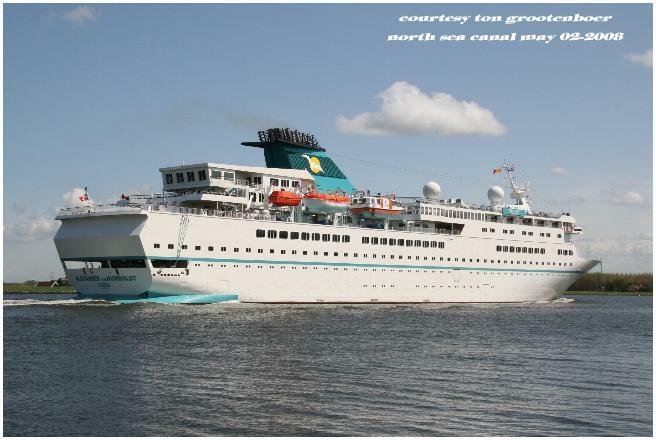 All Leisure group plc, which operates Swan Hellenic, Voyages of Discovery and Hebridean Island Cruises, is pleased to announce that it has successfully tendered on nov.12 -2009 for mv. “Alexander von Humboldt” in an auction conducted by the Admiralty Marshal. 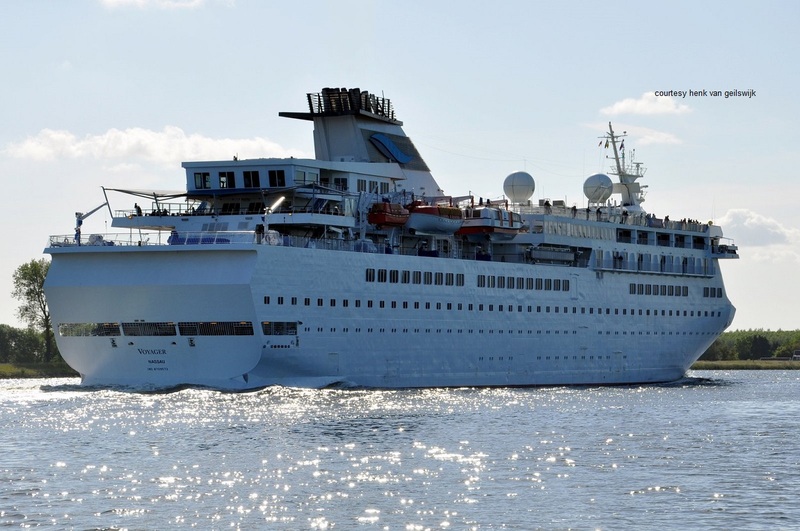 Ship will undergo a $20 million refit and is expected to be chartered to Bonn-based Phoenix Seereisen in 2010 before joining one of All Leisure's subsidiaries with a yet-to-be-announced new name in 2011. 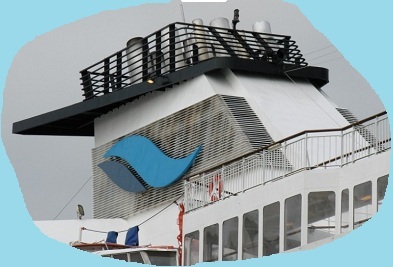 Summer season 2012 charter under old name to Turkish Bamtur for the second summer. 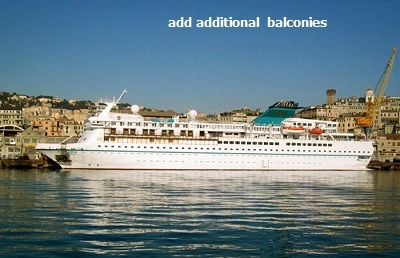 Renamed Voyager when start operations for Voyages of Discovery end 2012. 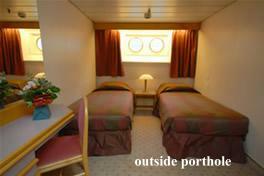 Charter to Bamtur ended end sept. Nov.1 ship undergo an intensive refurbishment on a yard in Portland. 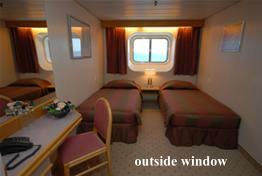 All cabins will be renewed and above commando bridge a lounge and restaurant will be added. 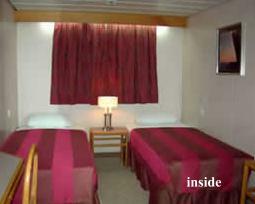 Start operations for Voyages of Discovery as Voyager dec. 2012. 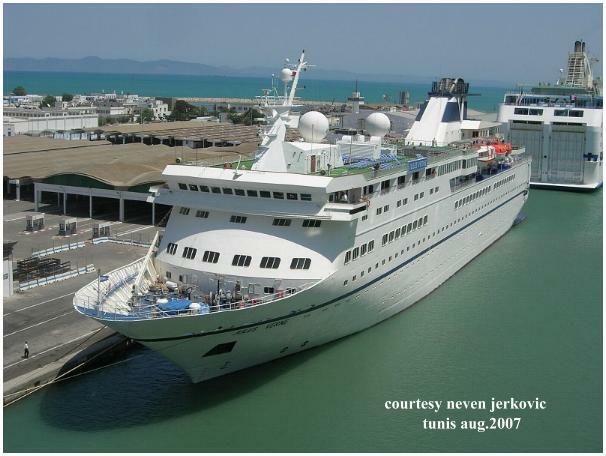 July 30 -2012 For cruising the market continues to be extremely challenging. As a result of the political situation in Greece, regrettably the proposed charter of Alexander von Humboldt, which will re-enter service as Voyager after a refit. 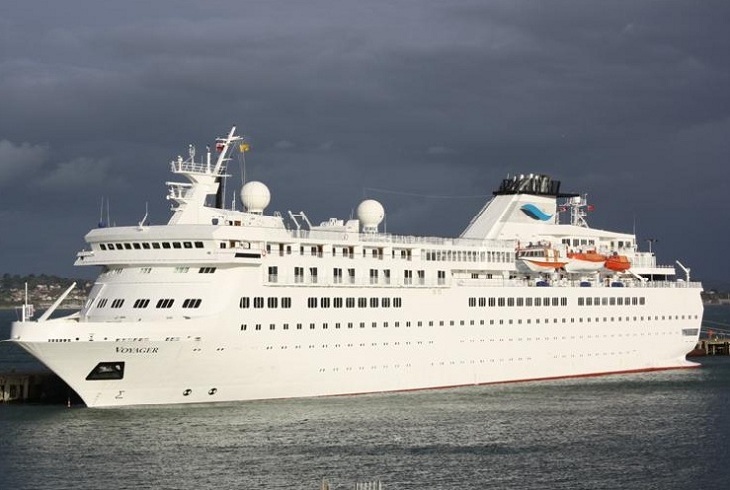 Voyager, which sets sail from Portsmouth for its inaugural cruise on 4th December 2012 following an extensive refurbishment. 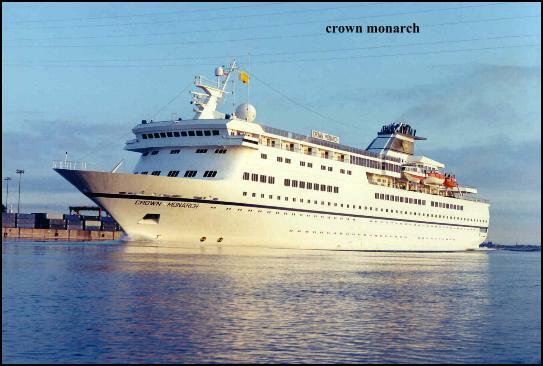 Voyager will continue to be marketed and sold through the trade under the award winning Voyages of Discovery brand. 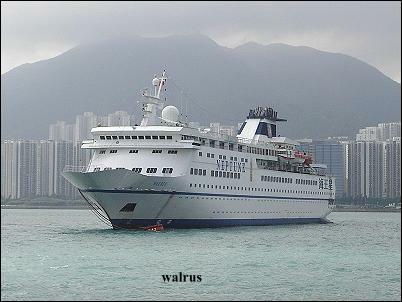 Former names: Crown Monarch - Nautican - Walrus (Acquired by defunct Club Cruise in may 2006 from Silja Line) renamed Jules Verne - short charter 2006/7 to Spanish Vision Cruceros - charter to Phoenix Seereisen and renamed in Alexander von Humboldt. 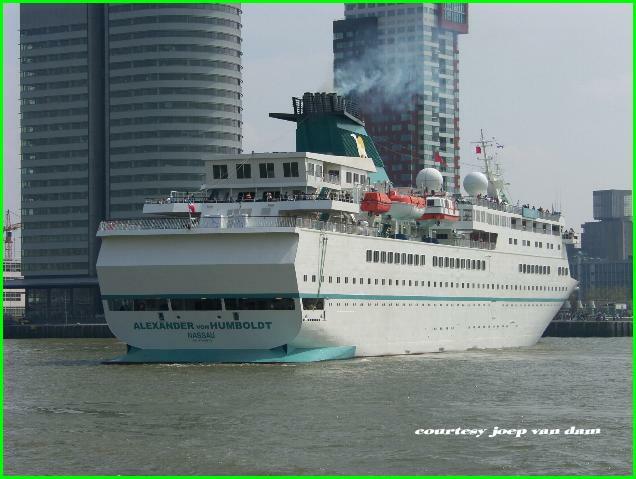 Start operations May 2008 CLUB CRUISE the owner ceased operations nov. 2008 due to financial trouble - Laid-up - acquired by All Leisure Group nov. 12-2009 - charter again to Phoenix Seereisen under same name Alexander von Humboldt during 2010 - charter to Turkish travel company Bamtur as Alexander von Humboldt - start operations for Voyages of Discovery nov. 2012 under new name Voyager.